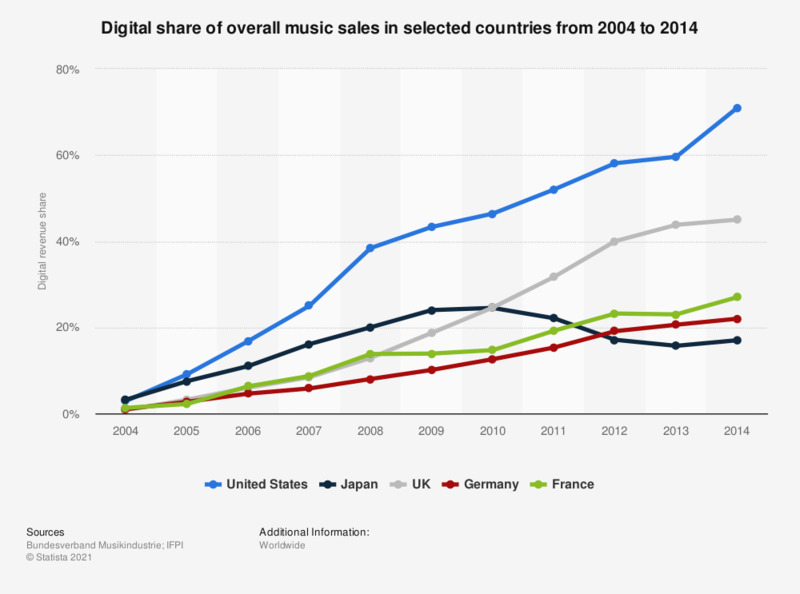 This statistic provides data on the digital share of overall music sales in the United States, Germany, Japan, France and the United Kingdom. The U.S. music market is the most advanced market in the world, when it comes to digital distribution. Between 2004 and 2014, the digital share of music revenues grew from 2.9 percent to 71 percent. Figures other than for 2014 come from previous publications.